This weekend I was feeling a little crafty, so I’ve decided to share my project with you! This is a rare post because I am totally not the crafty type. I’m the person that tries to be crafty, but the finished project turns out horrible and I end up throwing it away! I do like to decorate. I like buying simple items like vases, picture frames, and flowers to brighten up the rooms in my house and add some color, but I have never made my own pieces…until now! 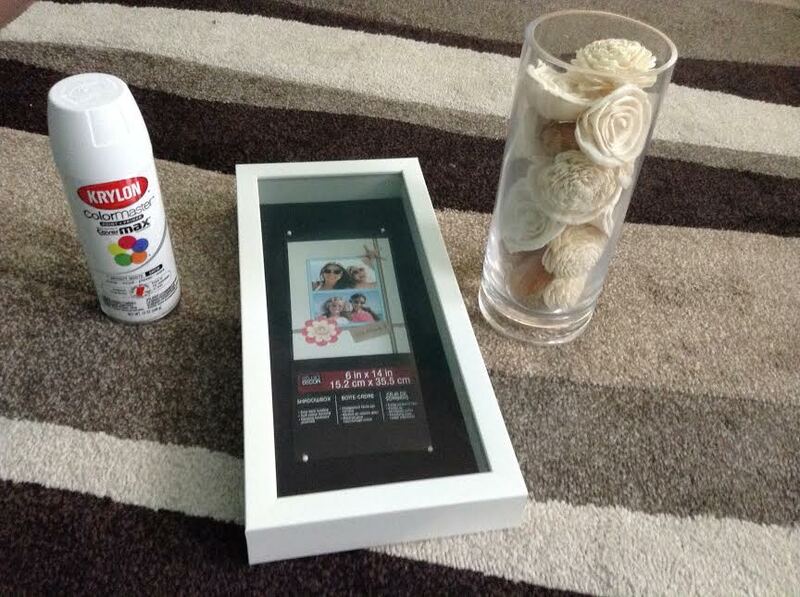 I was looking for some decorating ideas on Pinterest (www.pinterest.com) and found a pin on wall art with a canvas decorated with spray painted flowers and a clear boxed frame https://www.pinterest.com/pin/405535141422288112/. 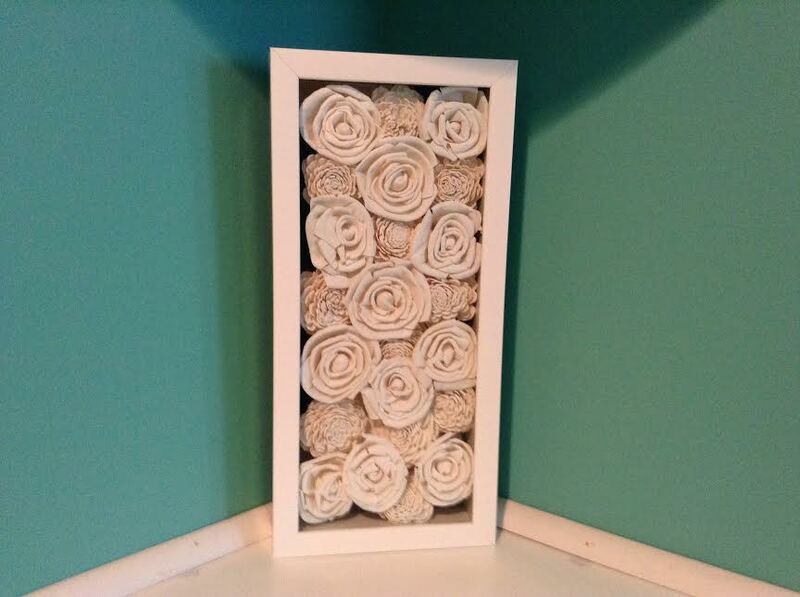 I took this idea and decided to use a shadow box and potpourri instead to create a smaller piece. 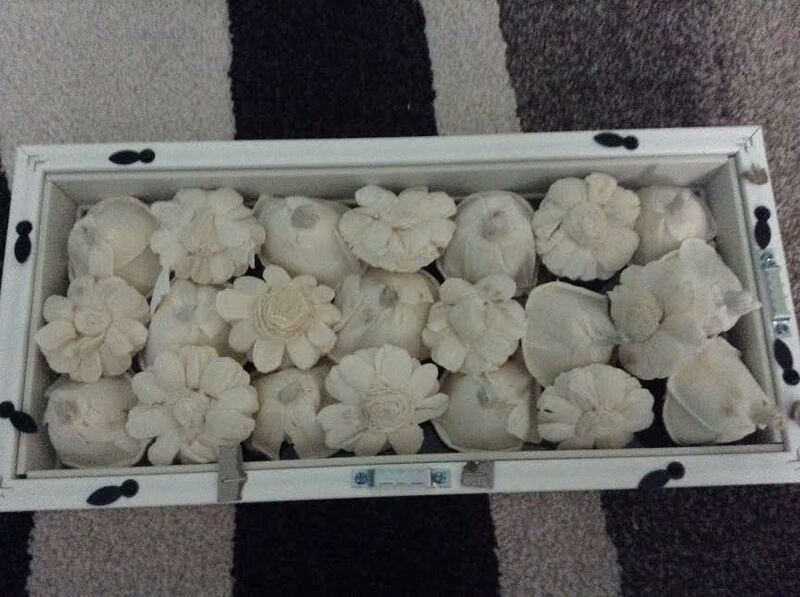 I got potpourri with flowers, and I displayed them first in a tall vase until the smell faded away. 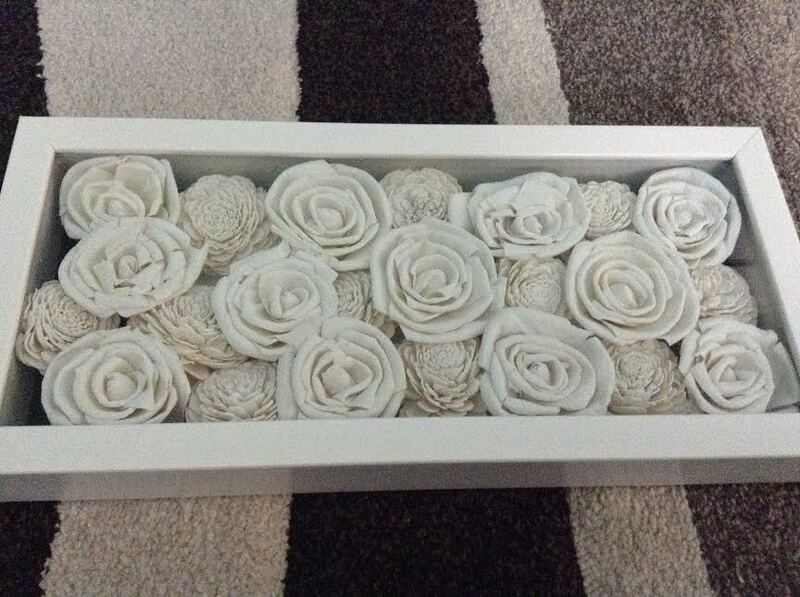 The potpourri flowers were a tan colored, but I wanted them all white. I used two coats of spray paint (following the directions on the spray paint bottle) to achieve my desired color. 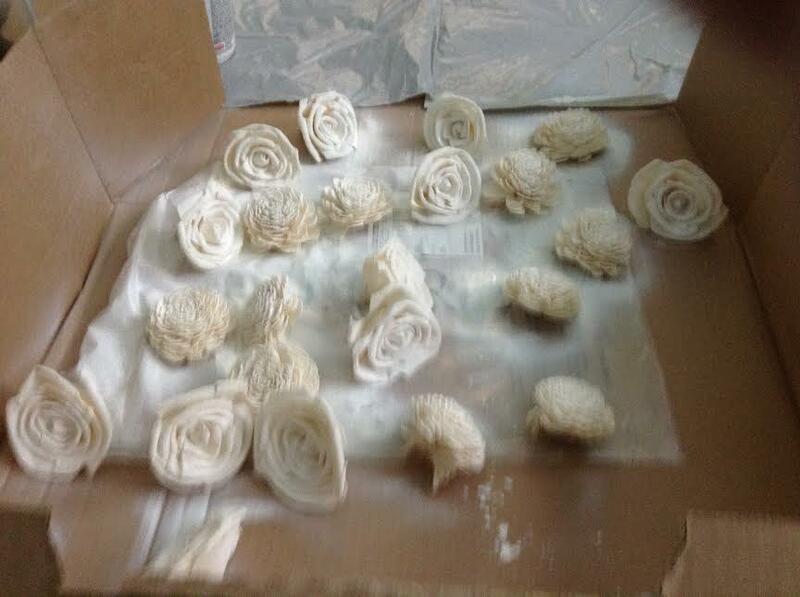 Once completely dried (the next day), I arranged the spray painted flowers in the shadow box. Sooooo simple and look how nice it looks! It took me about 10 minutes total to spray paint and repaint and about 5 minutes to assemble! Like the post on Pinterest you could use faux flowers, and if the flowers aren’t staying in place use a hot glue gun to glue them to the background of the shadow box. If all projects were as simple as this, maybe there’s hope for me to being crafty one day! I hope you enjoyed this! If you have any simple ideas or pictures of projects you have done feel free to comment below.